Known as the discoverer of the procedure to make sparkling wine, Dom Pérignon has now become in one of the most famous brands in the world. But, where is its history coming from? The Hautvillers village is located in the north East part of France, in the Champagne famous region. However, what has this village in special? Well, you may know the Dom Pérignon champagne brand, right? Its story starts here! 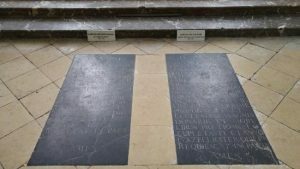 Don Pérignon was a monk born in 1638 in the region of Santo-Menehould, who lived in Hautvillers. It is said that he was blind, and that when he tried a grape, he knew from which vineyard it came from. He is also famous for his contribution and elaboration of wine. However, nowadays Dom Pérignon is known not just for this, but for being one of the most famous champagne brands. 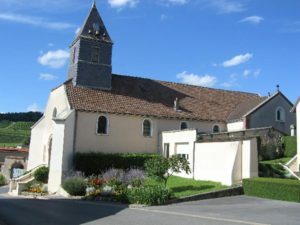 In the village, you will be able to find the church where the grave of Dom Pérignon is located. 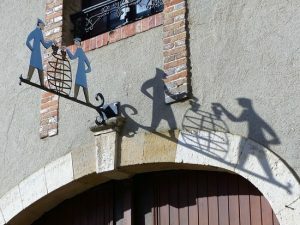 While walking on the main streets, don’t forget to glance at the funny signs above your head on most of the doors: they represent the occupations of the people who used to live there. Of course you have to step in the church and take at least 10 minutes to visit. You should consider approximately least half an hour to visit the villague, and then of course you want to extend your visit by sipping a glass of champagne somewhere. How did the big champagne producers, such as Moët & Chandon, start? Once in the region of Champagne, you cannot afford to miss seeing the various small and local producers. They will tell you the secrets that the famous châteaus don’t. The most common local producers are family-rent houses. You will usually have guided tours, but in this case perhaps it is better to arrange a private, exclusive tour. It is interesting to see how this small families and local producers can compete in the champagne market, taking into account that their big competitors are based in the same region. While visiting the local producers, you will be able access to the chain of manufacturing. Discover how they make and elaborate each bottle of champagne, consumed all over the world. A private driver will allow you to visit several places without losing time. He or she will drive you to the most interesting local producers, where they know the visit is worth following. With more than two centuries of producing exclusive champagne, this brand has become one of the most famous and most consumed around the world. Yes, we are talking about Moët & Chandon. The famous brand Moët & Chandon has its headquarters in Épernay, France, or better known as the capital city of the champagne. Currently, the brand belongs to LVMH, a huge company of luxurious brands in France. When coming to Épernay, you will be able to visit the Champagne Avenue, where you will find the most exclusive champagne producers in the world. Located at the number 20 of this avenue, you will find the Moët & Chandon house, the most famous house in the region. The brand contains the longest galleries. With more than 20 km of tunnels which are hidden below 10 to 30 meters in the ground, this brand became the widest seller on the region. Also on the property, you can please your eyes with the beautiful green gardens of the house. However, these alluring gardens are not accessible for the general public. In addition, a main fact that must be told is that you will be able to see the statue of Dom Pérignon, situated within the property. 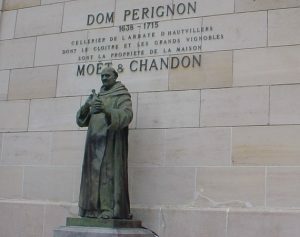 Dom Pérignon was a monk and a cellar master at the Benedictine abbey in Hautvillers, and he is considered to have discovered how to create sparkling wine, even though many of scientists say it is a myth. Dom Pérignon is also famous for being an exclusive champagne brand, which is produced by the Moët & Chandon company. 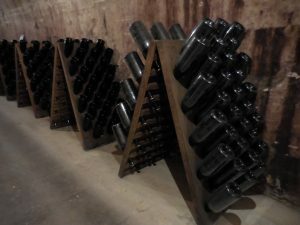 Finally, you can have a private tour within the brand’s headquarters, where you will be taught about the history of the region, and there will be tastings of different champagnes that will make your trip to the region a unique experience to remember. The guided tour, mentioned before, is definitely worth following. 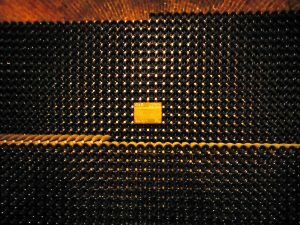 You will be able to taste the best Moët & Chandon champagnes, such as Moët Impérial, Rosé Impérial, Millésime 2008 Blanc… depending on the tour that you choose. You can reach the house by car or by private tour. Here, you can check out our Champagne packages, where the Moët & Chandon tour is also included. Another fun fact about this famous brand is that its headquarters have taken a small part in the history, for instance, it is known that this brand provided champagne to Napoleon! 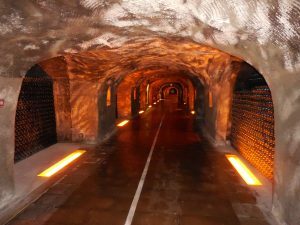 Also, in the guided tour you will be able to visit their wine cellars, considered one of the largest wine cellars in the world. If you are a lover of champagne, you can even ask for an exclusive tasting with a private lunch within the house, price available upon request.